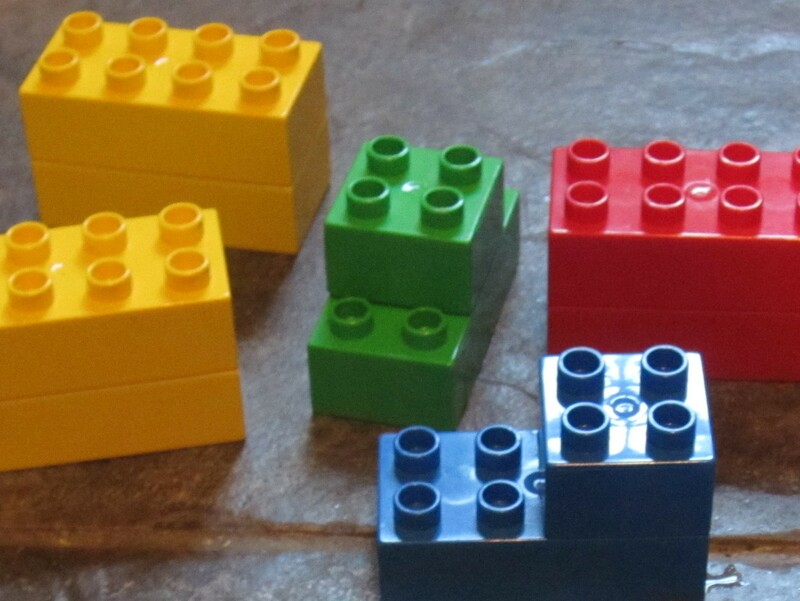 We got some second-hand Duplo recently, and washed it. In Bosch, our washing machine. In a pillow case at 30°C on the delicate program. Makes a funny noise but it all came out fine. This was the first time I’d washed Lego in a machine, so it’s nice to know that the suggestion in the Lego FAQ works. The curious thing was that the Duplo had SELF ASSEMBLED. It went in all in separated bricks. But when it comes out, some of it has stuck together. I found this pretty amazing. Surely if Lego can self assemble in the washing machine then it is a simple step from there to the beginning of life itself. I’m particularly impressed with Bosch’s creative instincts here. 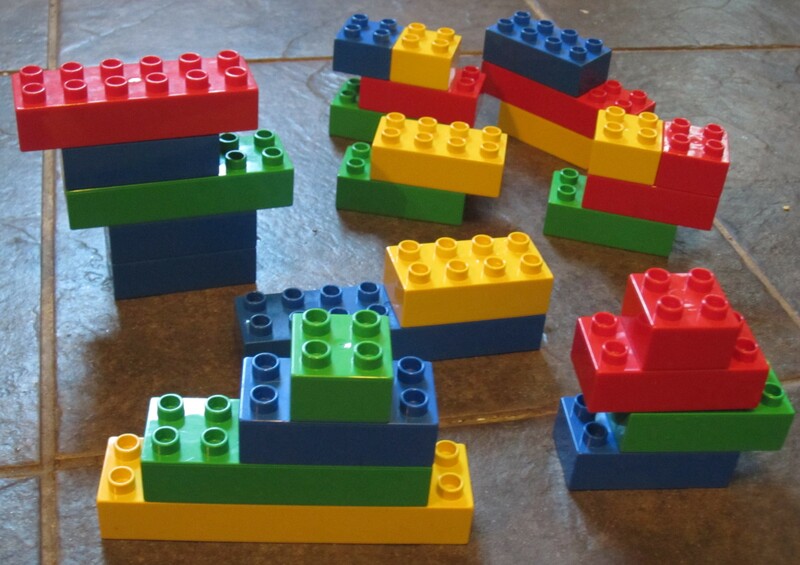 The one at the front is a battleship with effective use of colour. The back left reminds me a bit of a tree. Perhaps some sort of highly coloured baobab tree. And is that a red boot kicking a yellow football on a field of green? Francis speculates (whimsically) that maybe my washing machine has passed the singularity and is in fact an Artifical Intelligence trying to communicate with me. Obviously it is constrained by only being able to communicate by rearranging whatever I put into the washing machine. And the fact that it is a 4-bit microcontroller attached only to a valve, a heater, and a motor (maybe a temperature sensor too, but I wouldn’t be surprised if there wasn’t one). It’s an intriguing possibility. 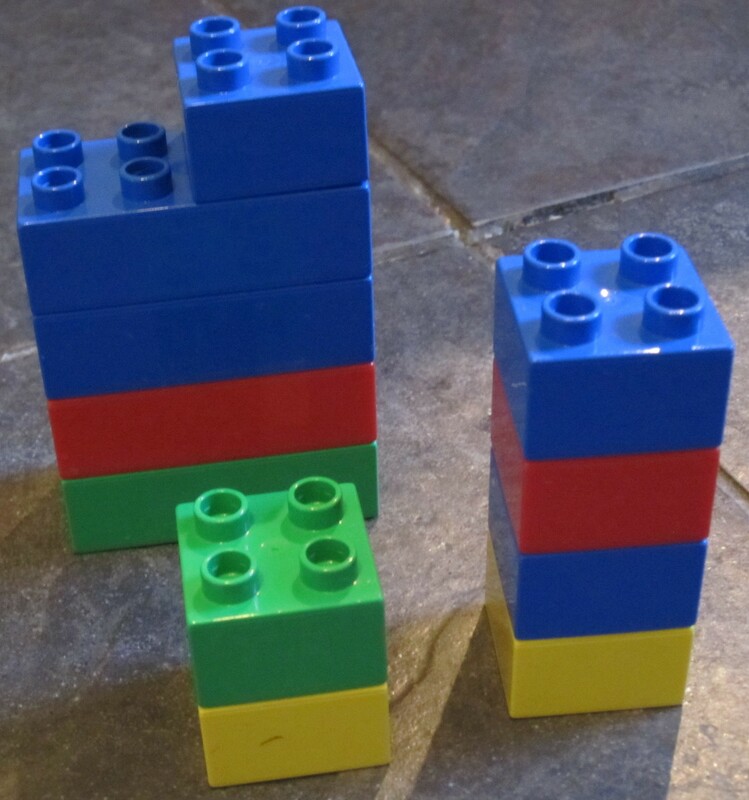 Perhaps the form on the right of monsters represents a not quite complete utterance, the Duplo bricks not quite bonded properly. The AI hypothesis raises several questions: How can we test it? Can we distinguish between merely aleatoric arrangements, and intentional ones? What is Bosch trying to say? Is there something I can put in the washing machine that would make it easier for Bosch to communicate? Is Bosch happy? Control-C is the intr character in Unix. It sends SIGINT to the currently running process, thereby interrupting it. Most programs either quit or return to an interactive prompt when they receive this signal. Control-C is the Copy command in Windows. It copies the highlighted text (or other graphic objects) to the clipboard. What do you do when you’re using a terminal emulation program on Windows to connect to a Unix computer? Does pressing Control-C send a Control-C character to the Unix system, or does it copy the highlighted text to the clipboard? I have no idea (it’s been a long while since I used a terminal emulator on Windows), but one thing is clear: It’s not clear what the right answer is. On a Mac Copy is an example of a command to a GUI application. Keyboard shortcuts are accessed using the Command key. Now, when using a terminal emulation program on a Mac, it’s completely obvious what happens. Control-C sends a Control-C character to the Unix system, which will interpret it as intr. Command-C copies the highlight text to the clipboard. Was this luck? Hard to tell, but I think not. The Mac was conceived as an entire product. It therefore seems completely reasonable to design a keyboard just for that product, and completely reasonable to create a new key for doing Mac things. Windows was conceived as an operating system. It had to run on existing hardware. Why didn’t Apple just stick a Control key on the keyboard and use that? Well, that would have been silly, and difficult to explain. Control had an existing use (on a terminal to send control characters that generally affected either the connection or the movement of the print head) which had nothing to do with GUI commands. Better to name the key that is used for keyboard shortcuts for GUI commands, Command. Why didn’t Windows do this? Microsoft weren’t in a position where they could dictate what keys appeared on the keyboard. They had to make do with whatever was there. Why Control-C for Copy instead of Alt-C, say? I have no idea. It seems particularly mysterious since, at the time Windows was layered on top of DOS and so was used by people familiar with DOS and in DOS, at least at the command prompt, Control-C meant interrupt, like it does in Unix. The lucky bit seems to be that Apple ever put a Control key on the keyboard at all; early keyboards didn’t have one, but I guess as soon as you have a modem you can connect to some other computer and that will require a Control key for some things. But basically the Control key on a Mac hung around for 2 decades doing nothing much until OS X comes out and then it’s used in all the traditional Unix ways. What did Unix do when it got a window system? Well, on X Windows in the mid nineties I don’t remember using a keyboard shortcut for Copy. In fact, I don’t remember using Copy at all. The middle mouse button (most Unix workstations and X servers of the time had mice with 3 or more buttons) would paste the highlighted text into whichever window the mouse was pointing at (note: the highlighted text could be in a different window from the one which receives the pasted text). No separate Copy command, just highlight text in one window, and click middle button to paste it into another window. Cute. Windows has a Windows button now (and, much to my surprise has had it since Windows 95). Obviously there was no way that Copy could be moved from Control-C to Windows-C because Control-C was already welded into the minds of all Windows users. So the Windows button generally does useless things in Windows. What about Ubuntu? They could’ve decided that it was reasonable to assume that all keyboards would have the Windows key. They could’ve decided that all GUI shortcut commands would use the Windows key. Freeing up Control-C to mean intr. You would’ve though that for a GUI running on Unix this would be an important consideration. But no, Ubuntu thoughtlessly copies windows and Control-C means Copy. Unless you’re in the terminal emulator, Terminal, in which case it sends a Control-C character and you have to remember to use Shift-Control-C for Copy. And just like Windows, the Windows key is useless in Ubuntu. It all just seems like a lost opportunity to me.